For generations of music students, notespellers have played an essential role in helping students gain confidence with note reading skills. 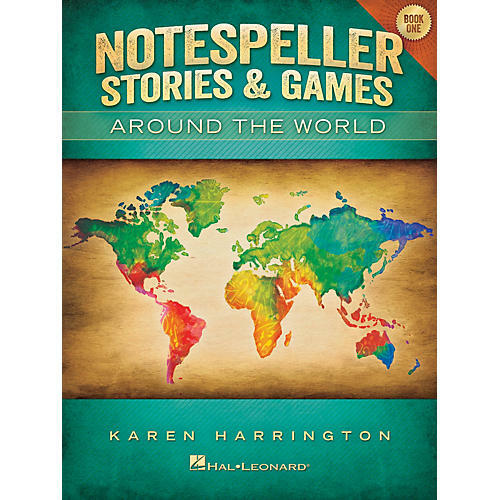 Notespeller Stories & Games - Around the World created by Karen Harrington, author of the Hal Leonard Student Piano Library Notespellers and The Piano Teacher's Resource Kit, has done it again with this new blockbuster resource for all music students! Students will love the colorful artwork, activities, games and stories she has created and both teachers and students just might learn more interesting facts from around the globe in the process!